I was born and raised in Kentucky and my love of history goes deep - way back to the 18th-century when my family first came into the Bluegrass State. It will always be home to me, even though I now live with my husband, Randy, and my sons, Wyatt and Paul, in the misty woods of northwest Washington. I go back as often as I can to visit family and all the old haunts that I love. I grew up playing on the original site of Fort Boonesborough and swimming in the Kentucky River and climbing the Pinnacle near Berea and watching the great outdoor dramas of the early settlers. Often my cousins and brother and I would play in my Granny's attic and dress up in the pioneer costumes she made us and pretend to be Daniel Boone, Rebecca, Jemima, or the Shawnee. As I grew up I began to write stories and they were always historical, filled with the lore I had heard or read about. It's no accident that my first book (which is actually my fifth book - the others were practice!) is about those first Kentucky pioneers. I feel blessed beyond measure to write books. My prayer is that you are doubly blessed reading them. Note: Laura Frantz credits her 100-year-old grandmother as being the catalyst for her fascination with Kentucky history. Frantz's family followed Daniel Boone into Kentucky in 1792 and settled in Madison County where her family still resides. 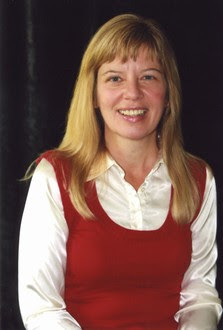 Frantz is a former schoolteacher and social worker who currently lives in the misty woods of Washington state with her husband and two sons, whom she homeschools. 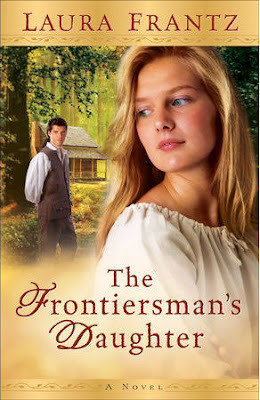 Lovely but tough as nails, Lael Click is the daughter of a celebrated frontiersman. Haunted by her father's former captivity with the Shawnee Indians, as well as the secret sins of her family's past, Lael comes of age in the fragile Kentucky settlement her father founded. Though she faces the loss of a childhood love, a dangerous family feud, and the affection of a Shawnee warrior, Lael draws strength from the rugged land she calls home, and from Ma Horn, a distant relative who shows her the healing ways of herbs and roots found in the hills. But the arrival of an outlander doctor threatens her view of the world, God, and herself--and the power of grace and redemption. This epic novel gives readers a glimpse into the simple yet daring lives of the pioneers who first crossed the Appalachians, all through the courageous eyes of a determined young woman. Laura Frantz's debut novel offers a feast for readers of historical fiction and romance lovers alike.